Book the cheapest car hire Gatwick Airport using our car hire comparison website. Please be assured that we will find you the best and cheapest car hire Gatwick Airport deals going. Which Car Rental Suppliers will help me with my Gatwick Airport Car Hire ? There are 8 main car hire companies to choose from at Gatwick Airport:namely Hertz, Avis, Europcar, Sixt, National, Alamo, Enterprise and Budget. 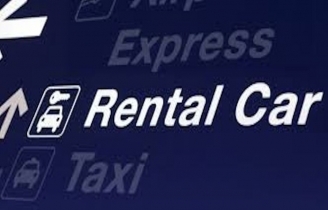 You may also see car hire offers from other subsidiary car rental companies including Dollar Thrifty, Easirent, Firefly, Goldcar and InterRent. Where are the Car Hire Desks at Gatwick Airport ? The car rental desks are located in both the North and South terminals. Which Cars Can I Choose When I Book My Gatwick Airport Car Hire ? Choose from a selection of automatic or manual gears, with or without air conditioning and diesel or petrol engines. How Do I Drive from Gatwick Airport to my Destination ? Gatwick Airport is 28 miles (45km) south of the city of London, and is linked directly to the M23 motorway at Junction 9 and to the A23 London-Brighton road. The M25 motorway is just a ten-minute drive away with connections to the UK's national road and motorway network. which you may find useful when making your decision as to which car and car hire company you eventually choose. When you are planning to go on a long-awaited holiday or an important business trip, then hiring a car hire with Best Car Hire can make life so easy. You control where you want to go and when you want to get there. Thanks to the technology, we compare the car hire market at Gatwick Airport, so you can easily find a car that will best suit your budget and your needs thus saving you a lot of time and effort. Finding a car hire depot near you is easier than you think: Because we compare deals from different car hire companies, you also have more choices of pick up and drop off locations. Gatwick Airport Shopping Opening Hours North Terminal: 04:00-20:30 South Terminal: 04:00-21:00 But you can always get a drink or bite to eat 24/7 and World Duty Free is also open 24 hours.